The one little event in Reno which drove me to insanity with all the preparations. Ate jaydee was also here and shared the fun stress. 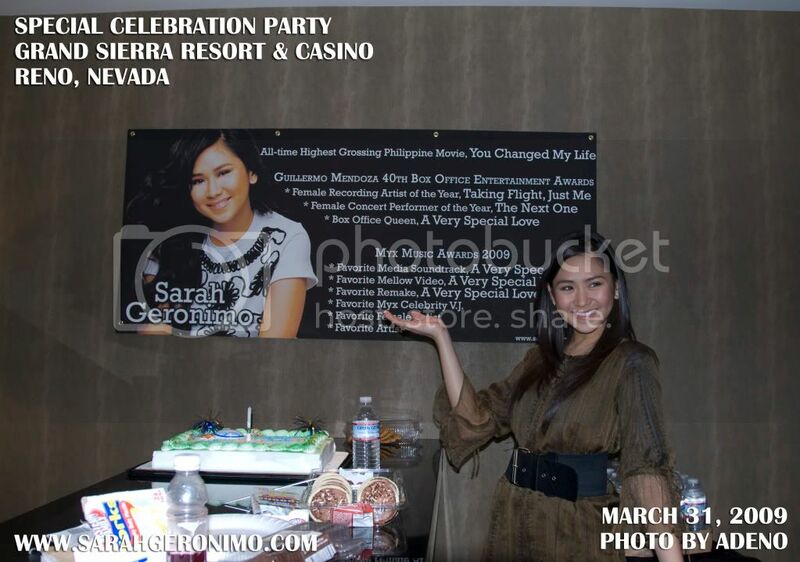 The event itself was held after the only promo of the day on March 31, 2009 in one of the VIVA producers' hotel rooms - Grand Sierra Resort & Casino, Reno, Nevada. grabe, first quarter of 2009 pa lang yan hehe! looking forward to the rest of the stories and pics (and vids?)! congrats for being able to pull out a successful private party. kayo pa. sus. teehee. 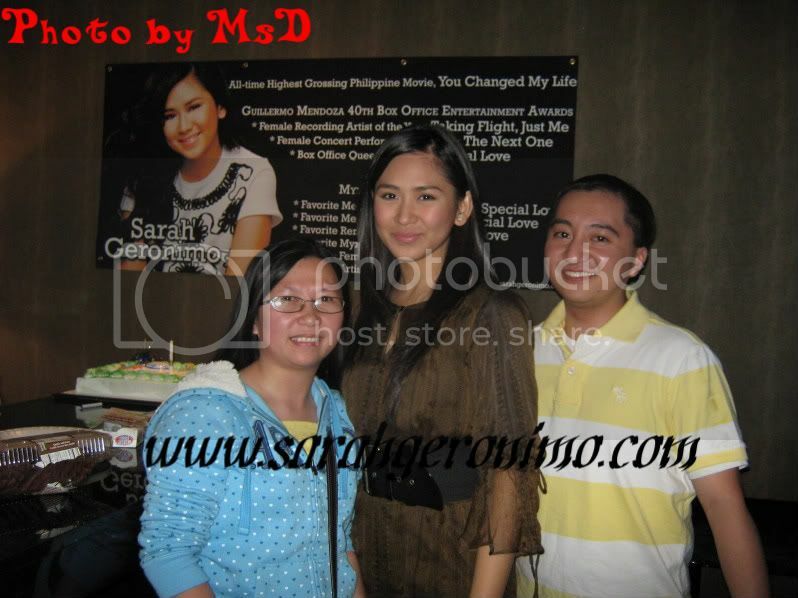 here's after blowing the candle..
wooow thanks po for the patikim pics, ate jaydee! si sir jay o, mas nakabungisngis pa kesa kay sarah hehehe! agent O si sarah parang nahihiya sya eh.. kaya yung smile nya parang pigil.. ganun.. hehe.. Thanks for the pics and kwento. syempre ang popsters din.. happy & proud din!